Another 2 weeks off, I’m afraid, with Virus No 2 – which was rather more debilitating and long-lasting than Virus No 1, oh well. Can’t say it’s been a great August all round, hey ho. However, K has kept me updated and definitely kept things going, with various harvests of runner beans, courgettes and lots of cut flowers. What a superhero! 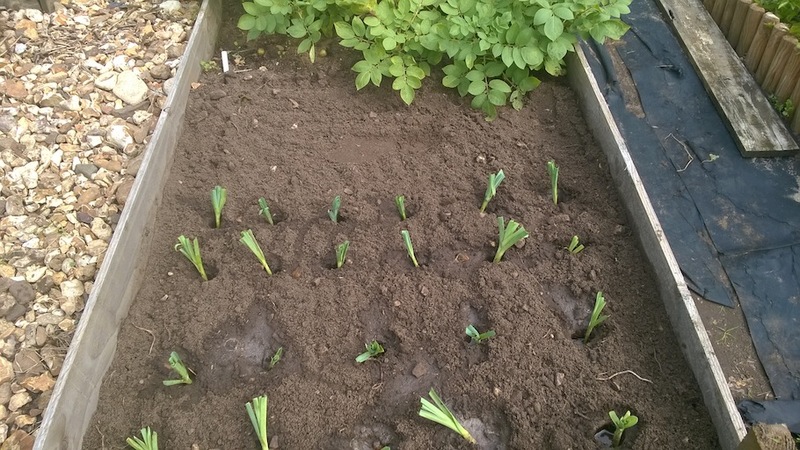 Today, however, I feel well enough to get to the allotment (hurrah!) 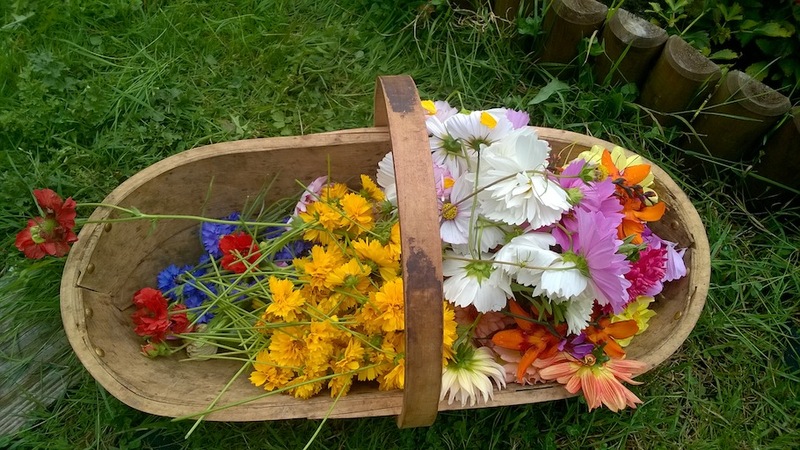 so have had a good hoe-round and deadheaded various flowers. 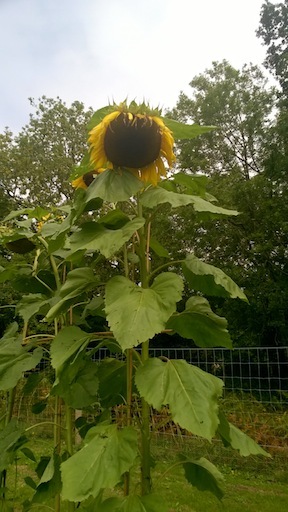 The sunflowers are amazing and the tallest things on the allotment, goodness me. They look very grand indeed. 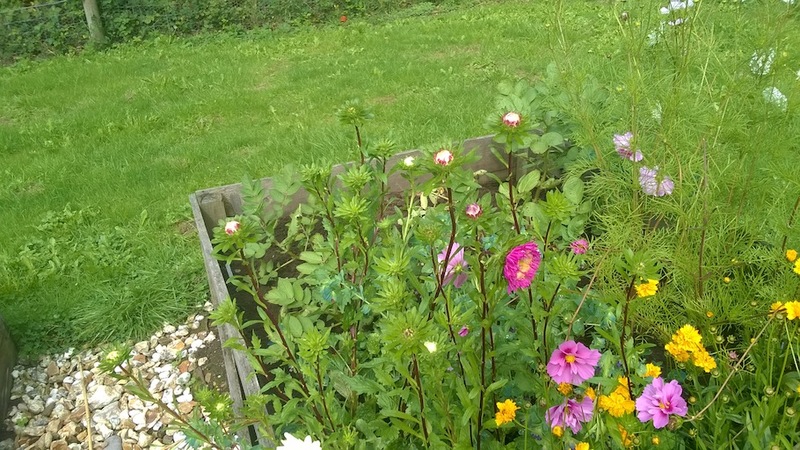 The rest of the flowers are doing well too, including the dahlias, crocosmia, asters, cosmos and coreopsis. 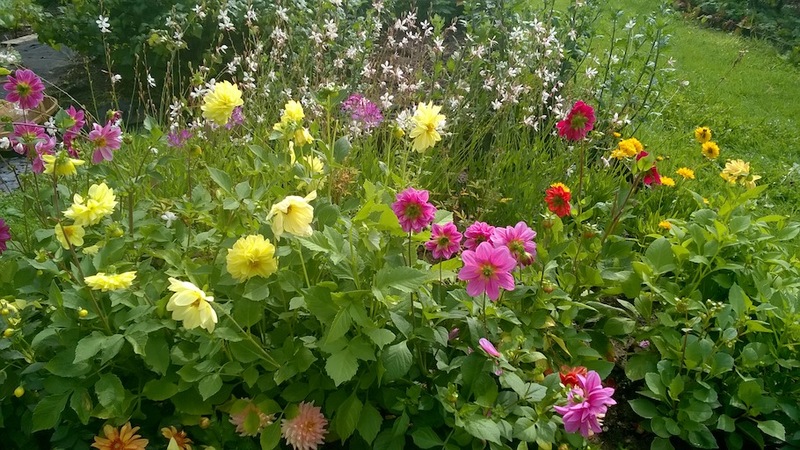 The trouble with the dahlias is that the moment I cut them, the petals start falling off, so I don’t think they’re going to be a great entry into next Friday’s Allotment Show. 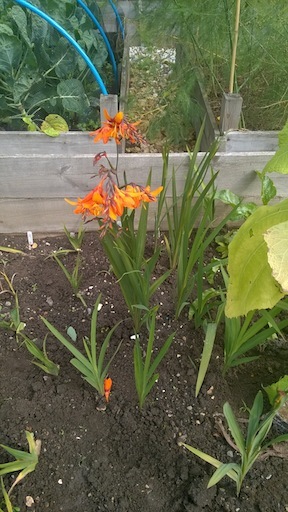 Will try my best though, and maybe do other flowers as well. 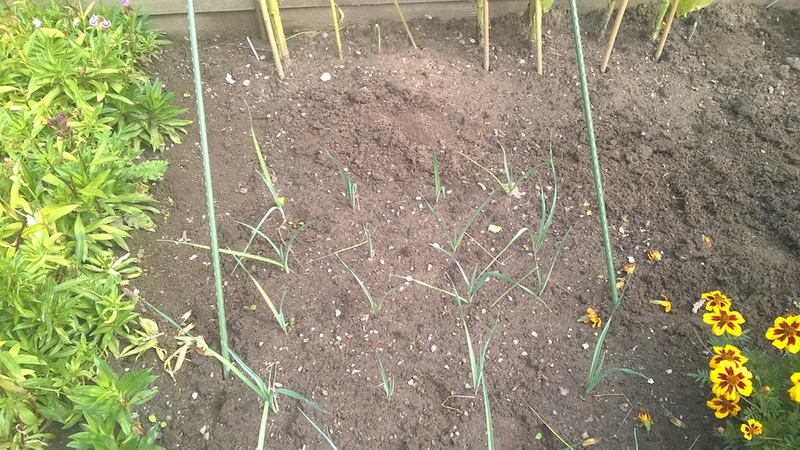 We’re also going to enter the Longest Runner Bean competition, and see if we have any decent onions or beetroot to enter as well – so wish us luck! Sadly, my specially bought chrysanthemums are never going to be ready in time for the show, so will just have to enjoy them as cut flowers in the house later in the season. 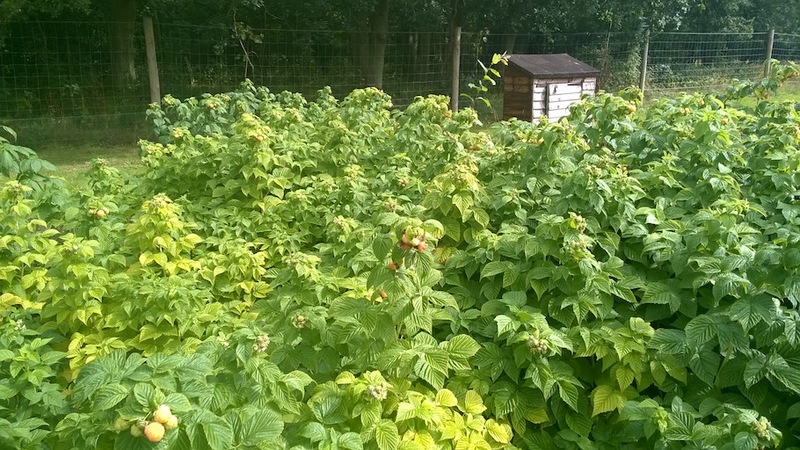 The autumn raspberries are starting to produce a good crop too. Here’s hoping the birds don’t take them all! 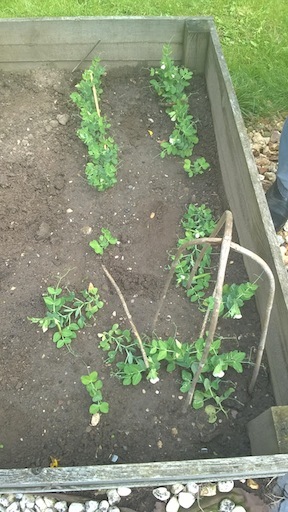 And the peas K planted for next year are now in flower, but surely it’s too late to actually produce a crop at all! Maybe we should cut the flowers off, or wait and see what happens? Will have to decide at some point. And here’s this week’s harvest: lots of various flowers, and underneath a handful of runner beans and a couple of courgettes. Have a good – and healthy! – bank holiday weekend. 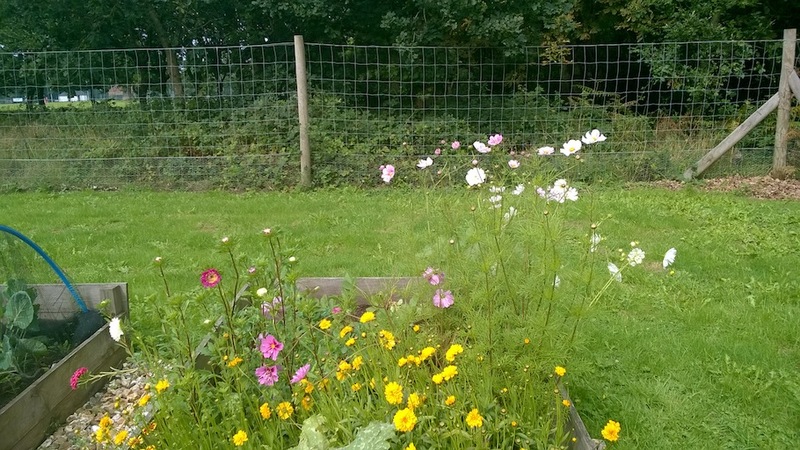 Categories: Allotments | Tags: allotment show, asters, autumn raspberries, chrysanthemums, coreopsis, cosmos, courgettes, crocosmia, dahlias, flowers, harvest, health, hoeing, leeks, peas, runner beans, sickness, sunflowers | Permalink.